Ambassador John Bolton, a Trump ally who has been considered for top national security posts in the administration, says he now needs to resort to publishing advice in the National Review because he can't get in to see the president under the regime of new Chief of Staff John Kelly. Bolton published today what he described as a "game plan" for Trump to exit the Iran nuclear deal struck by President Obama. Many outside the administration wondered how this was possible: Was Trump in control, or were his advisers? Defining a compelling rationale to exit Obama's failed nuclear deal and elaborating a game plan to do so are quite easy. In fact, Steve Bannon asked me in late July to draw up just such a game plan for the president — the option he didn't have — which I did.I offer the Iran nonpaper now as a public service, since staff changes at the White House have made presenting it to President Trump impossible. Although he was once kind enough to tell me "come in and see me any time," those days are now over. I called Bolton this afternoon to ask him about his comments. He said that he requested a meeting with the president "through the correct channels" but the request was denied. Bolton wouldn't elaborate further. Why this matters: The new strict system imposed by John Kelly will work until close allies can't get through to the president. If Trump begins to feel cut off from people he once spoke to often, he could buck against the new order. Counterpoint: Based on information they've been receiving from the intelligence community, White House officials are expected to consider Bolton's advice as simplistic and unhelpful. The reason they say they've advised President Trump to re-certify the Iran nuclear deal even though he doesn't want to is because they say the intelligence community doesn't have the evidence required to prove Iran has been noncompliant. Also, it's unlikely that any of Trump's top national security and foreign policy advisers will buy into Bolton's idea that you can rally the international community behind a U.S. withdrawal from the deal. Bolton's retort is that the current line of thinking will inevitably lead to Iran developing nuclear weapons. 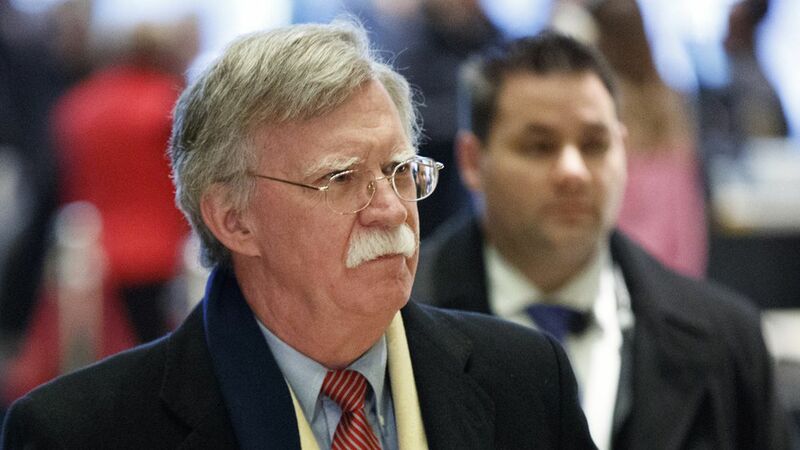 Bolton has readily admitted that U.S. or Israeli military action may be the only way to ultimately prevent Iran from acquiring nuclear weapons.